I am now offering a special Newborn Mini Package. 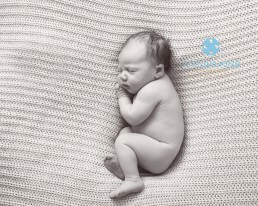 It is for those that have missed the typical, ‘ideal time’ to photograph a newborn baby (5days – 4 weeks old) . It is for babies aged over 4 weeks old -and up to 12 weeks old , unlike the newborn session, this package is focused on the awake images as babies really start to enjoy awake time and start smiling . If baby is sleepy than great, we will take a few sleeepy images, but this is a short and sweet session of up to one hour studio time. This package is an ideal opportunity to take sibling and family images as well 2 simple set ups on the beanbag and floakti. Babies ‘uncurl’ a week or so after birth and become more aware of their surroundings, at 4-12 weeks old the images will be not be very posed . It is unlikely baby will sleep and fall naturally into the typical poses i do for little newborns. But that means we get some cracking awake images as your baby’s little personality will start to shine through, and we get babbles and smiles. The newborn mini package is £225 : it includes the studio session time of up to a maximum of 1 hour and includes 10 images via digital download. To book your baby in for the Newborn Mini package email me or click here to send me a message and i will reply with my availability and booking information.